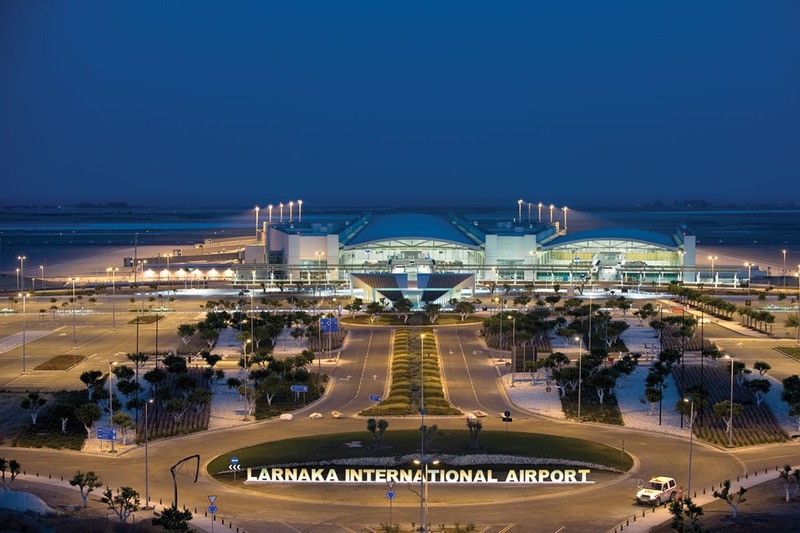 Larnaca Airport is one of the main gateways to the island of Cyprus. As there are many flights going into Larnaca, many of our guests who spend their holidays in North Cyprus also choose to arrive at Larnaca Airport. Book your transfer online from Larnaca Airport to your resort in North Cyprus and save up-to 50% on regular taxi fares. We provide private transfers from Larnaca Airport to Kyrenia, Famagusta, Lefkosa and Karpaz Peninsula at very competitive rates that you cannot get at the airport. To make use of these low rates, all you have to do is to book your transfer in advance. Our driver monitors the arrivals at Larnaca regularly and he makes sure he is there just as you get out of the passport control. If you cannot get a glimpse of him at first, please be patient. He could be just parking the vehicle. If after 10 minutes he is sitll not around, do contact us on our emergency number. From Larnaca Airport to Central Kyrenia, a transfer takes around 1 hour 30 minutes. This time includes the border crossing procedures. It could sometimes take longer depending on how busy the border crossing is. So we reccommend at least 3 hours and 30 mimnutes before flight for return pick-ups. Above rates are per vehicle for a 4 seater. Prices may vary for larger vehicles. Please use online booking engine for a precise rate. A comment from a happy client! Great cars, friendly drivers! Met on time, drove fast! Great service! I recommend! Did you see our prices? Would you like to see the price chart?